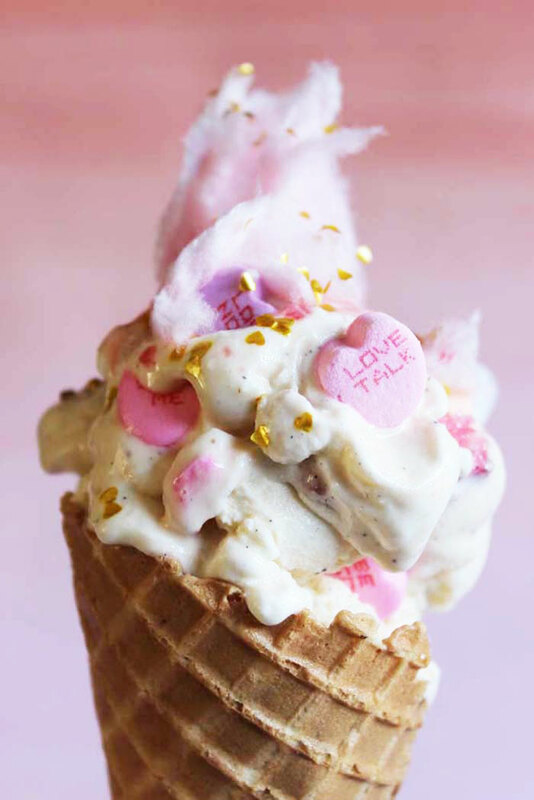 So we're really excited about another new column we're introducing for 2016, "Ice Cream Bar"!!!! (Yes it needs that many exclamation marks)! We have so many ideas around this and it's going to be so fun we think! 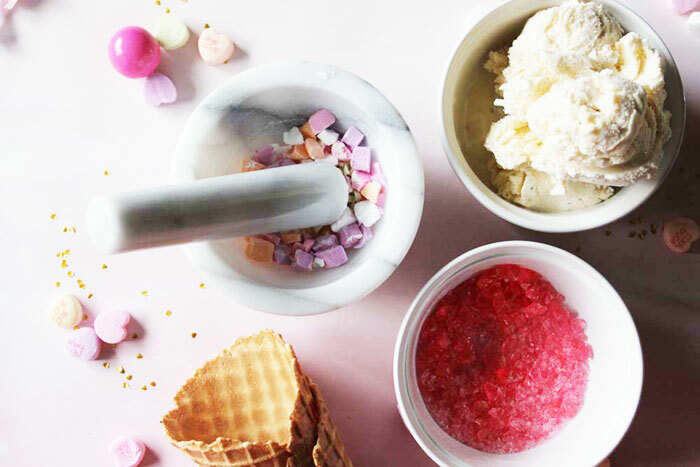 We'll be concocting sweet and/or savory ice cream recipes you can easily make at home!! From marble-slab-style to ice cream sundaes, milkshakes and floats, each recipe triple tested in our very own home kitchen! To start, we'll be making ice creams with pre-made ice cream, adding unique ingredients to create some really delicious treats and then as we go, we hope to also introduce some homemade ice creams right from scratch. But to start, because we are all busy people, and sometimes we may not have the time to make ice cream from scratch, sometimes it's nice to just add in your own ingredients, making something super fun, out of the ordinary and of course delicious! 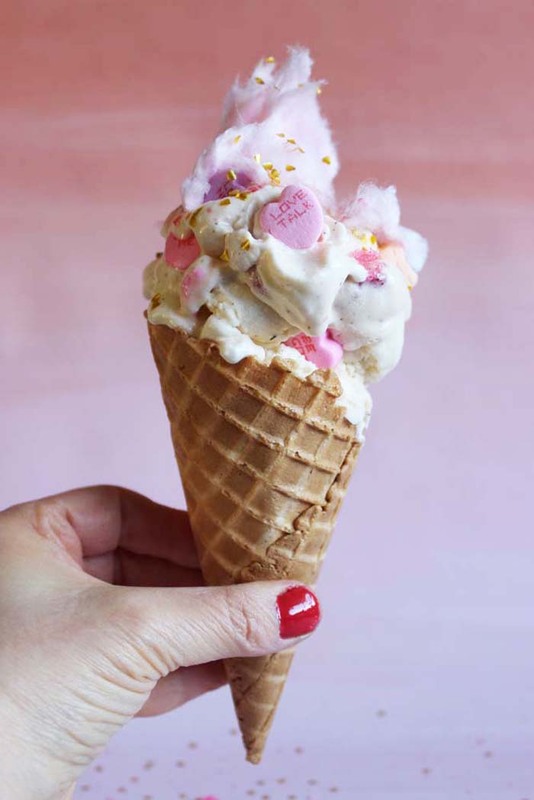 Today's ice cream concoction was something that came about with Valentine's Day in mind. 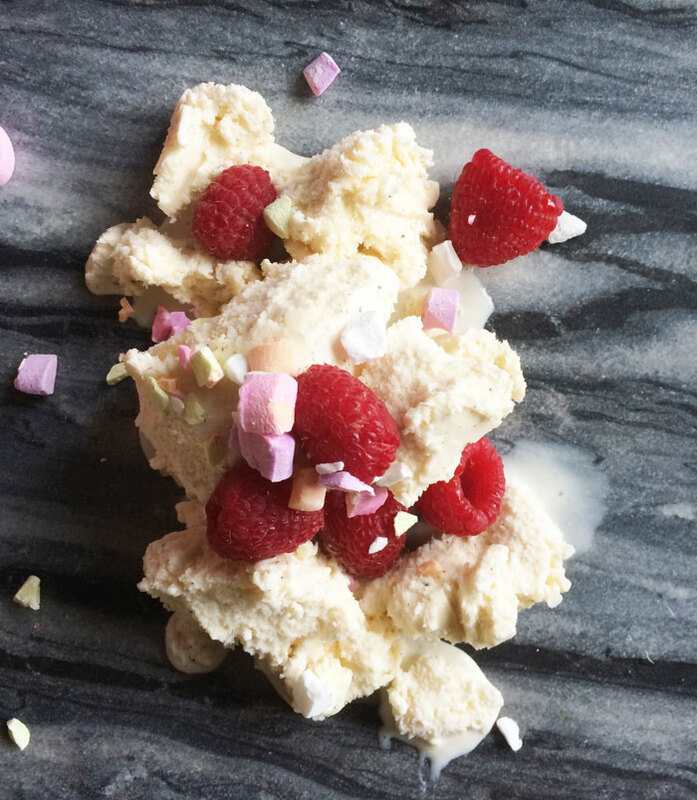 It's a simple marble-slab style recipe and something you can make super fast! For a special treat for the one you love! Pull out your marble pasty board, or even a marble tray or dish will do. And if you don't have marble, no worries; a regular plate or platter will work also (the marble just looks good if you're going to create this in front of your special friend)! Place the marble board in the freezer to get it super cold first. In the meantime, crush up the conversation hearts and then the hard candies. We used a blender for the hard candies, and the mortar and pestle for the conversation hearts. 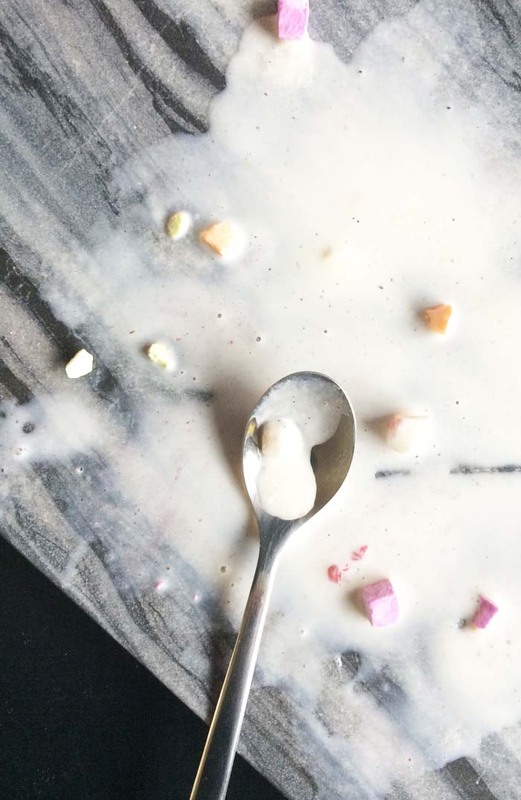 Bring your marble board and ice cream out of the freezer. Scoop out about 2 or 3 scoops of vanilla ice cream and place on the marble board. Sprinkle on the raspberries and conversation hearts. Mix fast with a pastry scraper until all the ingredients are mixed together. You're going to have to work fast, so as not to melt the ice cream too much. But no worries if you do. Just place it back in the freezer in a bowl again to harden up. Once it's hardened up again, scoop into your waffle cones (about 3 scoops). Top with the crush up hard candies and add a few conversation hearts to the sides! Pssst! Choose messages you wish to convey! Top with a bit of cotton candy and then scattered heart sprinkles! Enjoy! Oh my goodness, this looks amazing! Fun! Can't wait to see what you come up with! We had those hearts for our wedding favours. Great shots and hope you are doing well. Sol de Noche deco crochet - Thanks - you should try it - it's so good! Rachel Mae - Thanks and thanks for stopping by! Tracey Ayton Photography - Thanks Tracy - and what a fun idea for wedding favours! Hope you are well too!